After years of delays, Qatar will start holding elections for its advisory council in 2013, the Emir has announced. 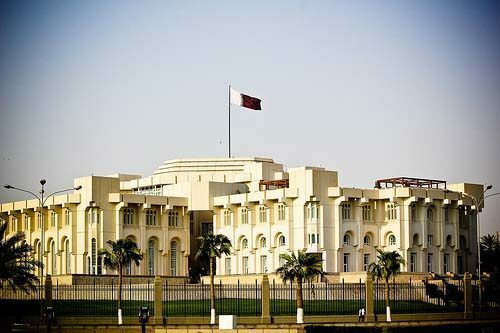 In Qatar, no laws can be enacted or issued without being discussed first and recommended upon by the advisory council, one of the country’s two legislative wings. Currently, the Emir appoints the members of the council, each serving four-year terms. According to the constitution, 30 of the council’s members would be elected and 15 appointed. This will be the country’s first legislative elections; thus far citizens have only been allowed to weigh in at municipal polls. The Emir made his announcement in an address at the opening session of the Advisory Council this morning. “We have endorsed the constitution and embarked on its ratification. Most of the constitutional goals have been attained. The Municipal elections were held, and the Constitutional Court was established and also other moves which you know and no need to repeat them,” HH the Emir said, noting that the implementation of some items was postponed due to reasons relevant to the challenges of development in the country and the stormy situation in the region especially as the implementation of some items needs laws to be issued. “From the podium of this Council, I declare that we have decided that the Advisory Council elections would be held in the second half of 2013,” HH the Emir announced. “We know that all these steps are necessary to build the modern State of Qatar and the Qatari citizen who is capable of dealing with the challenges of the time and building the country. We are confident that you would be capable of shouldering the responsibility,” HH the Emir underlined. Some are asking why the elections were announced now, when few in Qatar have come forward to demand the constitutional right. Despite few domestic demands for democratic reform and virtually no visible opposition, the Qatari leadership decided to “preempt” and take the initiative before anyone thought to ask. It has now become even more difficult than it already was to envision a critical mass of Qataris attacking the government for ignoring internal reform. It remains to be seen of course, what degree of power the two-thirds elected advisory council will have.